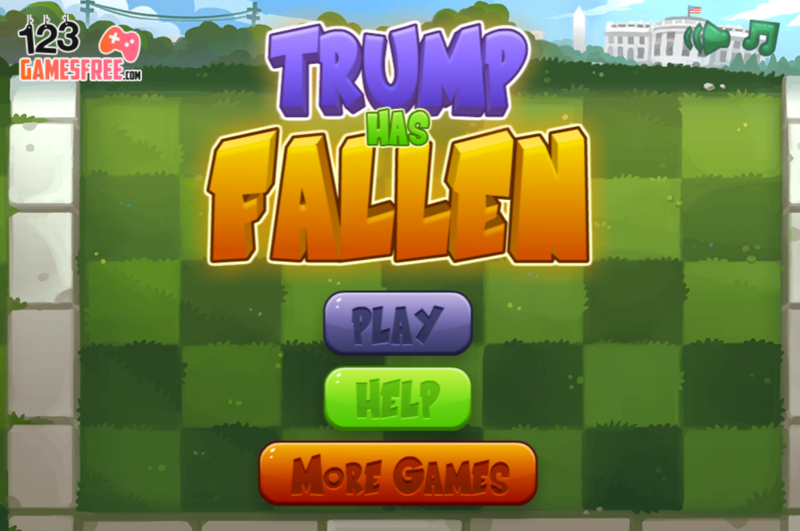 Inspired by the famous game Plant vs Zombie, Trump has fallen is a new fun addictive game for players of all ages on 123gamesfree.com. Participating in this game, you will find a hilarious Donald Trump who tries to defend his position in White House and prevent his political opponents from booting him. This is an extremely challenging game when you have to fight the other candidate with all his effort. To win in this election is not easy at all. The attacks become stronger and stronger that requires you have a smart strategy. Use the available means and fighter to complete your task. Keep in mind to collect all money to buy new fighters. These fighters have special abilities which support you much in the fight. Finally, don’t ignore this game and give it a try and enjoy right now! Good luck and have fun! An addictive funny game for all ages. 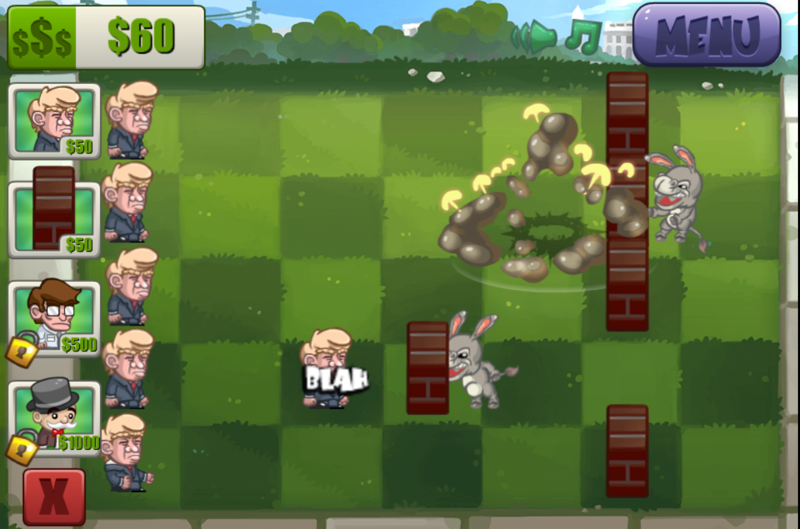 The game comes with hilarious characters with smooth sound and animation. 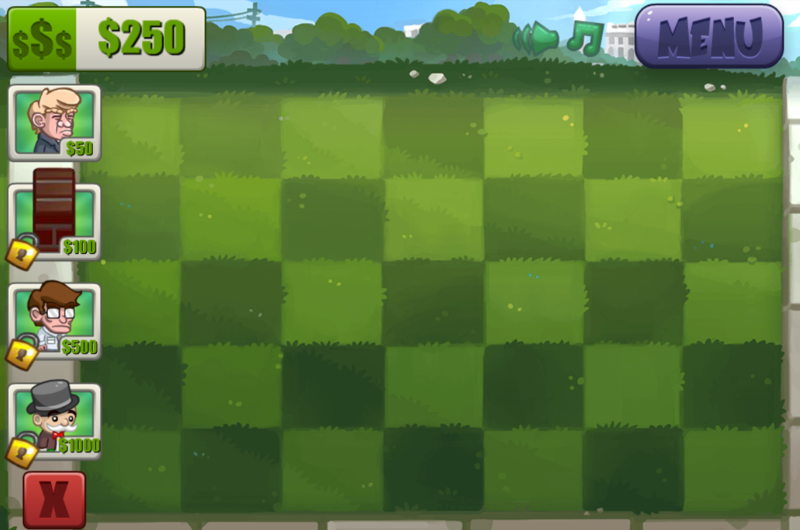 This game can be played on all devices: iPhone, iPad, Window phone, Android and all desktop browsers without any bugs. 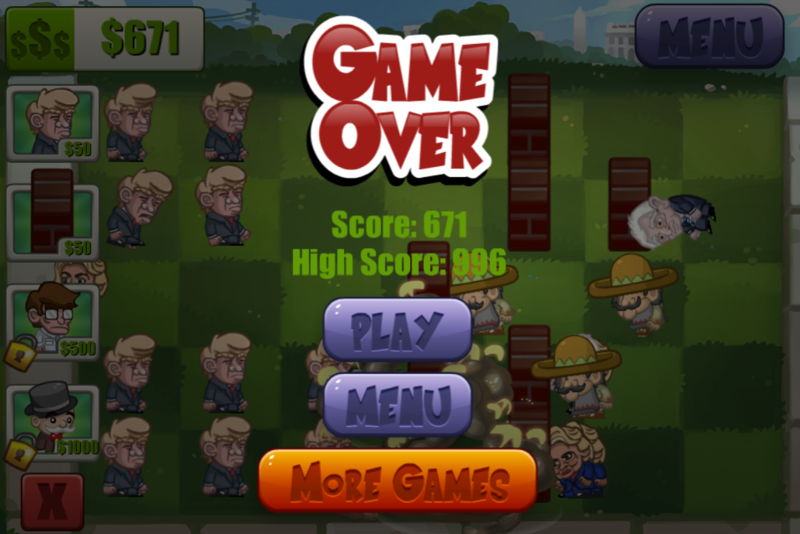 Play game Trump has fallen free online, 123 action games for kids, games for girls, games for boys and more cool games on 123zombiegames.com.